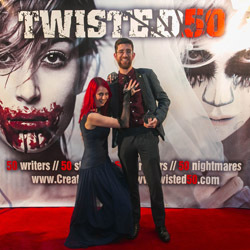 And the Winners Are... What REALLY Happened At the Twisted50 and Singularity50 Awards and Launch? When I first read the news, my jaw dropped. A police officer was lured to a man’s flat under the promise of sexual favours and ended up in a cannibalistic feast for one with all the trimmings. Something like this just doesn’t happen in real life, and in London of all places, but there it was. I love my police procedurals so this got my mind racing. I imagined what it would actually be like to be in that interrogation room with the culprit. What would the police officers ask? How would they make him confess? This had all the makings of a horrific short story, so I explored it more. What if the suspect was a most innocuous person? What if their motives were more sinister than what it first appeared? How about a police transcript? 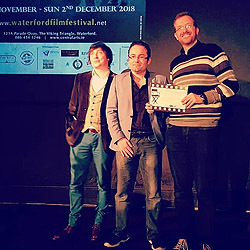 How to write a story with only dialogue guiding us as to what is happening in the room; letting our own imaginations fill in the horrid details? Little by little, “For the Record” was born. My journey to becoming a professional writer truly began when my short story, London’s Crawling was a finalist for Twisted50 Vol 1. Previous to this I had tried to write a children’s fantasy novel three times and no matter how I wrote it, I couldn’t make it work. Then I tried screenwriting, and received a polite rejection from CBBC. Sigh. 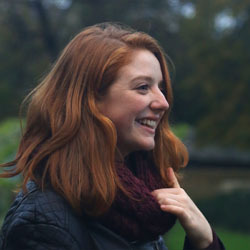 It took about thirty rejections to realise making a living from storytelling wasn’t going to be easy. Maybe I wasn’t cut out to be a writer? I knew in my heart that stories were my gift to the world but I had no idea how to give that gift while also earning enough money to stay alive and help support my family. I’ve never tracked an Amazon delivery so closely. After reading Chris Jones’ update that Twisted 50 Vol. 2 was available to buy, I instinctively bought 10 (yes, ten) copies. You may think that a little extravagant, but I had a plan. The delivery was arriving Friday, and the next day, I was in Newport, Wales selling my wares at Geeked Festive – the Christmas Newport Comic Con. 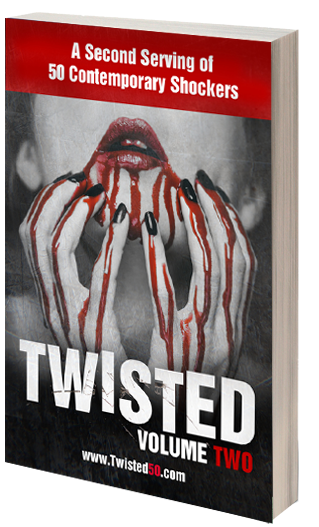 Get The Whole Twisted Family For A Terrifying Xmas Gift! This delicious little package includes nearly 150 stories and over 50 audio readings with music. Why submit stories to Twisted50? Is it really that big a deal? Sure there’s a chance you might be published, but then what? It never amounts to more than that, does it? The novelty fades pretty quickly, and life goes on. Or might there be more to it than that? 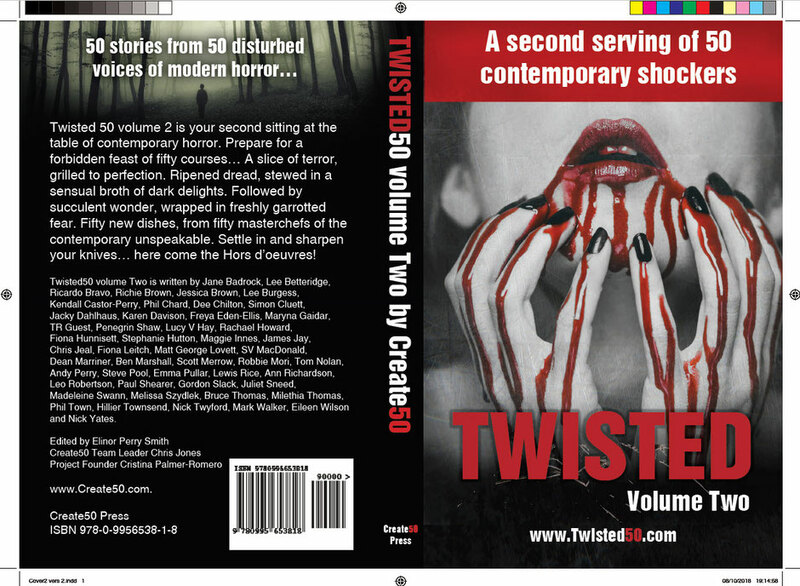 We are delighted to share the news that Twisted50 vol 2 have been released, with fifty terrifying tales from 50 of the most breathtaking voices in new horror. Twisted 50 volume 2 is your second sitting at the table of contemporary horror. Prepare for a forbidden feast of fifty courses… A slice of terror, grilled to perfection. Ripened dread, stewed in a sensual broth of dark delights. Followed by succulent wonder, wrapped in freshly garrotted fear. 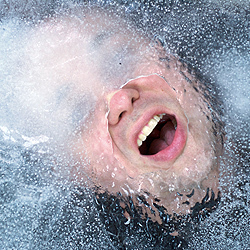 Fifty new dishes, from fifty master chefs of the contemporary unspeakable. Settle in and sharpen your knives… here come the Hors d’oeuvres! 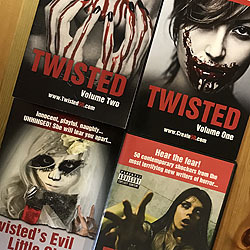 The authors include many returning writers who featured on Twisted50 vol 1, as well as a new and perhaps even more demented writers… They are... Jane Badrock, Lee Betteridge, Ricardo Bravo, Richie Brown, Jessica Brown, Lee Burgess, Kendall Castor-Perry, Phil Chard, Dee Chilton, Simon Cluett, Jacky Dahlhaus, Karen Davison, Freya Eden-Ellis, Maryna Gaidar, TR Guest, Penegrin Shaw, Lucy V Hay, Rachael Howard, Fiona Hunnisett, Stephanie Hutton, Maggie Innes, James Jay, Chris Jeal, Fiona Leitch, Matt George Lovett, SV MacDonald, Dean Marriner, Ben Marshall, Scott Merrow, Robbie Mori, Tom Nolan, Andy Perry, Steve Pool, Emma Pullar, Lewis Rice, Ann Richardson, Leo Robertson, Paul Shearer, Gordon Slack, Juliet Sneed, Madeleine Swann, Melissa Szydlek, Bruce Thomas, Milethia Thomas, Phil Town, Hillier Townsend, Nick Twyford, Mark Walker, Eileen Wilson and Nick Yates. 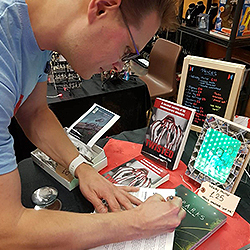 You are invited to an unforgettable evening on December 18th to celebrate the double launch AND Awards for Twisted50 volume 2 and Singularity50 in the spooky Cinema Museum in London (close to Elephant and Castle). 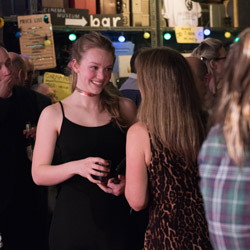 Venue: The Cinema Museum, The Master’s House, 2 Dugard Way (off Renfrew Road), London SE11 4TH (located in Kennington, close to the Elephant and Castle). Map at foot of page. Picture the scene. It's the late 1970s and a young, fresh-faced whippersnapper in flannel jim-jams has just brushed his toothy pegs and is all ready for beddy-byes. He stifles a yawn as he pads into a garishly decorated front room. For the sake of argument let's call this sleepy-eyed tyke "Simon", for t'was me. I'm eight years old but instead of saying nighty-night to my Mum and Dad I'm transfixed by the strange man on the telly. I'd seen Star Wars the previous year but not even the scum and villainy of Mos Eisley space port had prepared me for this tubby man with piggy eyes and a dicky bow tie. 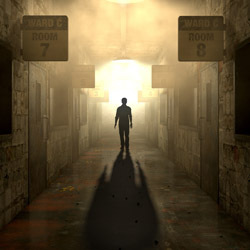 Watch the Twisted50 Volume Two Trailer… if you dare! 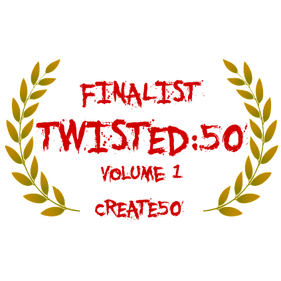 A Proud Future for Horror Anthologies? These are glory days for horror fans. The success of films like It, A Quiet Place and Hereditary have reinvigorated the genre. 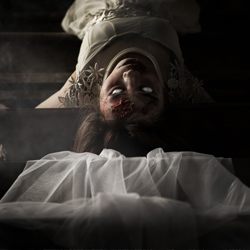 TV shows like Stranger Things, and adaptations of some of horror’s most treasured brands, including Bates Motel (Psycho), The Exorcist and The Haunting of Hill House, are perhaps evidence of a growing appetite for the genre. We’ve had four new novels from Stephen King in the last eighteen months and a new trilogy (The Three Births of Daoloth) from Ramsey Campbell that sees the old master back on top form. From where I sat he looked seven foot tall and with his barrel-chest, his slicked-back black- greying hair and moustache, his heavy-framed glasses, ruddy complexion, crisp shirt and grey suit, he looked every inch like an ex-Sgt. Major who had seen more in war than he would ever want to tell a class of thirty or so nine year old schoolchildren. But we knew him as the Headmaster of Uxbridge Street Infants and Junior School, someone rarely seen but always respected. None of my stories (well, almost none of them) start out the way they are supposed to. I suppose this is normal, but it drives me nuts. I have an especially bad case of it, you see. So what will this look like? 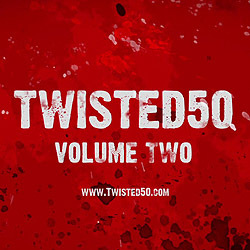 You can watch the video from the Twisted50 vol 1 launch party HERE to get a taste. We also plan to combine the launch with the launch of the Singularity50 book too. We are getting close and thought we would give you a taste of the dark meal that awaits the bravest of readers… 50 Authors… 50 Nightmares… Twisted50 volume 2. And if you want to know more about the book when it’s released, or better, join us for the book launch and awards, join then email list below. When it comes to books and films, I avoid anything scary. I ‘watched’ The Woman in Black with my eyes closed. I will never watch one of the greatest films ever made, The Exorcist (even writing the words gives me the heebie-jeebies). I won’t even venture into the horror section in a bookshop, lest I make eye contact with a scary front cover. 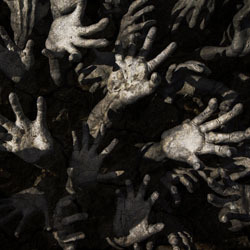 Sci-fi is more my wireless kettle of fish, so why did I choose to write horror? Create50 takes the credit. I began working on a piece for their Singularity50 project. I was never one for a happy ending, I cried as a child when Jaws was killed, I was never on the side of the angels. 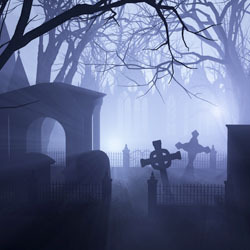 Horror is all I ever wanted to write, but for years I felt I had to conform to what was getting published out there. Until the dark characters’ voices in my head simply needed an outlet. I decided to give them free reign and one day I did a flash fiction one-day course at Brighton University, I thought with any chance I’ll find my horror voice…… That’s how ‘The Anniversary’ was born, initially as a 500 words flash fiction story, read to a silently stunned audience of peers, none of which wrote as dark as me. 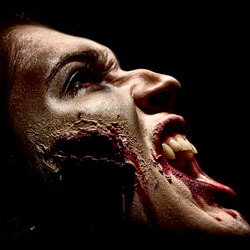 The tutor was encouraging but it didn’t matter, I had found my horror voice and it was never going to shut up again. I don’t do horror. Can’t say I’m big on short stories either. So, at first glance, the Twisted50 concept was not high on my to-do list. I let the deadline for the first volume sail merrily by. I was delighted for writing friends who’d taken part, and were published, in this highly successful book. Yet when the call came for stories for a second volume, I didn’t pay much attention as I still didn’t feel it was really my thing. Now I love the overall Create50 concept, with its fabulous peer-review structure - and had written several scripts for the Impact50 film initiative, but I just didn’t think the horror genre was something I could contribute to. 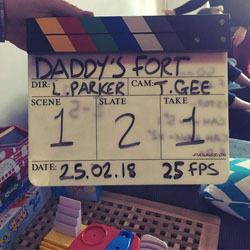 We’ve come to a place in the arts, where the shock and horror genre has turned to grotesque themes and incredible special effects in an effort to create new entertainment. 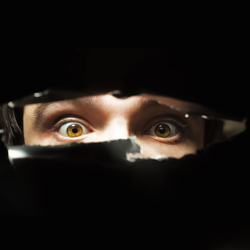 True fright, I believe, surrounds us everywhere and everyday… it is all around us: the aberration in an otherwise normal encounter… the twist of a person’s psyche… the perfect person hiding a terrible flaw. 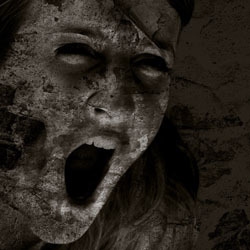 When Poe wrote his tales of horror, he wrote of the twisted mind in the person next door.